Evans, GA. – Mrs. Elizabeth D. “Betty “ McGlauflin, age 89 entered into rest January 28, 2019 at Thomson Health and Rehabilitation. Mrs. McGlauflin was born in Pawtucket, Rhode Island, the daughter of the late Robert L. Dunn and the late Maybelle Gardener Dunn. She was a devoted homemaker, wife, and mother. 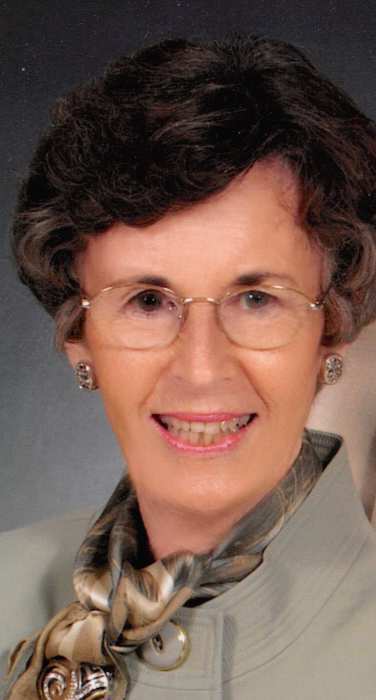 Mrs. McGlauflin was a resident of Thomson, GA for many years, worked for The McDuffie Progress as the Society Editor, and was a member of Thomson First United Methodist Church before moving to Atlanta, GA. She was an Executive Secretary and retired to Ft. Myers, FL. Mrs. McGlauflin returned to GA 12 years ago to reside in Evans and was a member of Wesley United Methodist Church. She was a seamstress and taught sewing and enjoyed writing. In addition to her parents, Mrs. McGlauflin was predeceased by her beloved husband of 68 years, James Albert McGlauflin. Elizabeth is survived by her daughters, Sue Hinesley (David) and Nancy Jenkins both of Thomson, GA; grandchildren, Clay Graves, Scott Jenkins and Elizabeth Thompson (B.J. ); great grandchild, Kiera Graves; sister, Dorothy Scott of Evans, GA; and nieces and nephews. A memorial service will be held at 11:00 a.m. Saturday, February 2, 2019 at the First Methodist Church, Thomson, GA with Rev. Ronny Brannen and Rev. Lester Jenkins officiating. The family will receive friends from 10 until 11:00 a.m. in the fellowship hall prior to the service. A private interment will be held at a later date at Wesley United Methodist Church, Evans, GA. In lieu of flowers, donations may be made to the American Cancer Society, the Alzheimer’s Association, or Thomson First United Methodist Church. Beggs Funeral Home, 799 Cobbham Rd., Thomson, GA is honored to serve the family of Elizabeth McGlauflin.